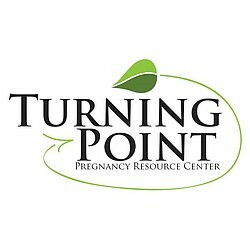 Turning Point Pregnancy Resource Center is a licensed medical clinic offering free services to women experiencing unplanned or crisis pregnancies. Being a medical clinic allows us to offer ultrasounds which is an integral tool for showing the humanity of an unborn baby. When a woman considering abortion see an ultrasound of their unborn baby, over 85% will make a life decision. We want to offer truth in a loving, confidential, and professional environment. To better serve women in the San Diego Community, Turning Point has recently purchased the ICU Mobile Medical Unit. This innovative new vehicle is structurally engineered and designed with a medical exam room and ultrasound machine. This is a paradigm shift in pregnancy care center work because instead of waiting for women to come to our brick and mortar building, we can now go to where they are, in their community, right at their moment of crisis. And we are not just guessing where to bring the mobile; we’ve strategically identified (using an algorithm with specific data) by zip code where the women live who are having abortions in San Diego County and will bring the ICU Mobile to those locations. It’s simple: GO serve women, GO save lives, GO share Jesus. Transform our community for life. Want to GO with us? Call us at 858.397.1970, email us, or become part of the Miracle of Living Giving Community where your financial contribution will help us GO! Copyright © 2010-2019 by Turning Point Pregnancy Resource Center. All rights reserved. Site by ReThink Your Web.